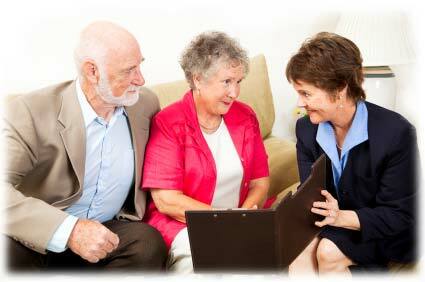 Funeral Pre-Planning Services, Funeral Planner in Inverness, Citrus County Florida. Assisted by your funeral professional, you can decide the place and type of funeral service that you desire. The funeral service can be held at the funeral home, although the family church, synagogue or another suitable location may be selected. If you are not affiliated with a church or synagogue but wish to have a religious service, your funeral professional can suggest a clergy person. If a nontraditional service is desired, we can suggest alternatives that maintain the positive values and dignity of the funeral for the family. Your funeral professional can suggest the kind of service that will best meet your needs, based solely on the preferences of you and your family. Your considerations should be to the emotional needs of your family, in addition to your own wishes and desires. With the counsel of your funeral professional, you may select the merchandise you desire. Merchandise is available in a wide variety of styles and features that should make it easy for you to select an appropriate one. While most often suitable clothing is chosen from a person's own wardrobe, funeral professionals do offer a complete line of burial garments. We understand that your religious faith may require adherence to certain practices and local customs, and recognize the limitations imposed by local, state and federal laws. Your funeral professional will suggest what can be done and how best to arrange a complete funeral service that will benefit your needs while reflecting dignity and reverence. It is well to keep in mind certain factors which govern or influence the funeral professional's services. First and foremost, your funeral professional wishes to please you and your family; make certain your specific desires are made clear. When you preplan, you can select the services, and merchandise that best suit your needs. While the services and merchandise you select can be guaranteed through prefunding, your money is 100% refundable should you move out of the state or ever need to cancel. ©2011, Chas. 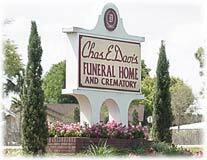 E. Davis Funeral Home, Inc.